Let’s start off with a confession: after a long, physically and mentally (and occasionally emotionally) draining 10-hour shift on my feet, the last thing I want to do when I get home is cook dinner, let alone do any sort of housework. As a working wife, when I walk through the door, I fall into my husband’s waiting arms and attempt to mentally shift gears from work to home. The problem is that after my long work days, there is very little energy, motivation, or focus left to invest into my home. Does this sound familiar? If it does, you may be like me. Maybe like me, you find yourself realizing that your current lifestyle is not quite aligned with the biblical picture of femininity. Our story is long and detailed, but the gist of it is that my husband and I are currently in a situation which requires me to work to pay off my significant college debt while he finishes school. We don’t have children yet, so we agree that the best course for us now is for me to work full-time to aggressively pay off debt – as Christians we are also called to be good stewards and avoid being in financial debt. So! The challenge for those of us who feel called to be at home but are in a season of working outside the home is no small matter. There is spiritual weight as you struggle with obeying all of God’s Word when you seemingly cannot obey it all; there is emotional baggage as you feel guilty for neglecting your home as well as past decisions that have led to your current conundrum; and there are physical limitations on your time and your energy levels. I can’t even begin to imagine the other issues at play if you are a working mother! All of these aspects combined can leave you feeling like you are a failure at homemaking, which is heartbreaking when that is your heart’s true desire. Sister, I feel you. And I want to offer you some hope and fresh perspective. “You have time for what you make time for.” This is a simple phrase that I first heard in school when trying to keep up with my studies. But, I recently realized how true this is for my homemaking! How much time do I waste in the evenings sitting on the couch in exhaustion? How much time do I waste in the mornings scrolling on my phone while trying to wake up? How much time do I waste [just fill in the blank with your own pet time-waster]? 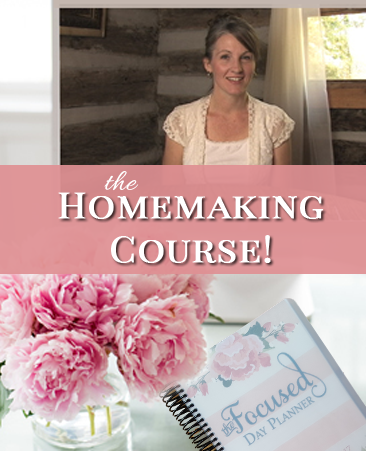 I had the privilege of taking the Focused Homemaking course in January, and it was truly life changing for me. 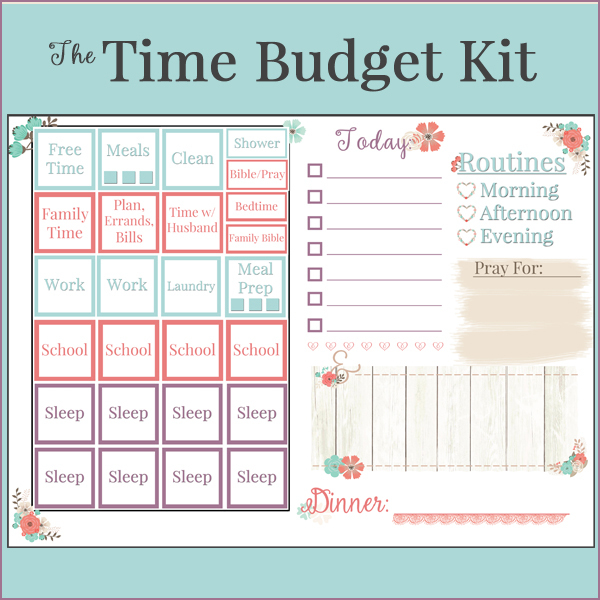 One of the biggest take-aways for me was that I learned that I do have time for homemaking. I do have time for meal preparation. I do have time to spend with my husband (while not having to feel guilty about neglected housework). By completing the assignments during the course, I was able to identify ways to tailor my time to make homemaking my priority for every day, even days I spend working. For me, this meant shifting my day to start and end an hour earlier. This allowed me to replace an unproductive, exhausted evening hour of sitting on my couch with a productive hour of quiet time, housework, and meal prep in the morning. 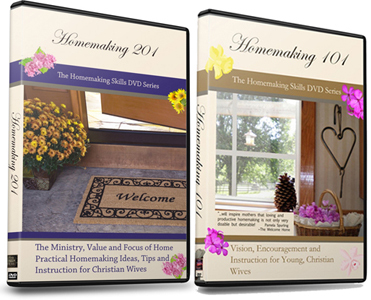 This probably won’t work for everyone – that’s why I would highly recommend that you consider taking the Elements of Christian Homemaking course. The course doesn’t offer cut-and-dry lists and answers for you, but encourages you to manage your time in a way that works for you and your home and your family. It is important to recognize that you can be a professional schedule-keeper-house-cleaner-chef-extraordinaire…and still feel like a frazzled, unfulfilled homemaker. One of the key elements to thriving in your homemaking, whether you are a working wife or a stay-at-home-wife, is having a firm foundation in Jesus Christ and being familiar with what the Bible has to say about how we are to spend our time and why. Thankfully, Jennifer goes into depth on this subject as well during the Focused Homemaking course! “Keep your eye on the prize.” If you have read this far, I am assuming that like me, your goal is to eventually be at home full-time, managing your family’s time, money, education, meals, etc. Something that I have found to be very encouraging when I am feeling particularly disheartened about spending so much time away from home is knowing that this is only a season. Praise the LORD because this situation is temporary! By living frugally (see this recent post for some wonderful tips), you can put extra money towards debt to get it paid off more quickly. The more quickly we become debt free, the sooner I can be where I feel I truly belong as a Christian woman and wife, at home. Looking well to the ways of our households when we spend little time in those households requires a shift in priorities, a dedication to the LORD and a commitment to your family. With the right focus, we can keep our homes the priority of our hearts while we work towards the prize – being home where we belong. 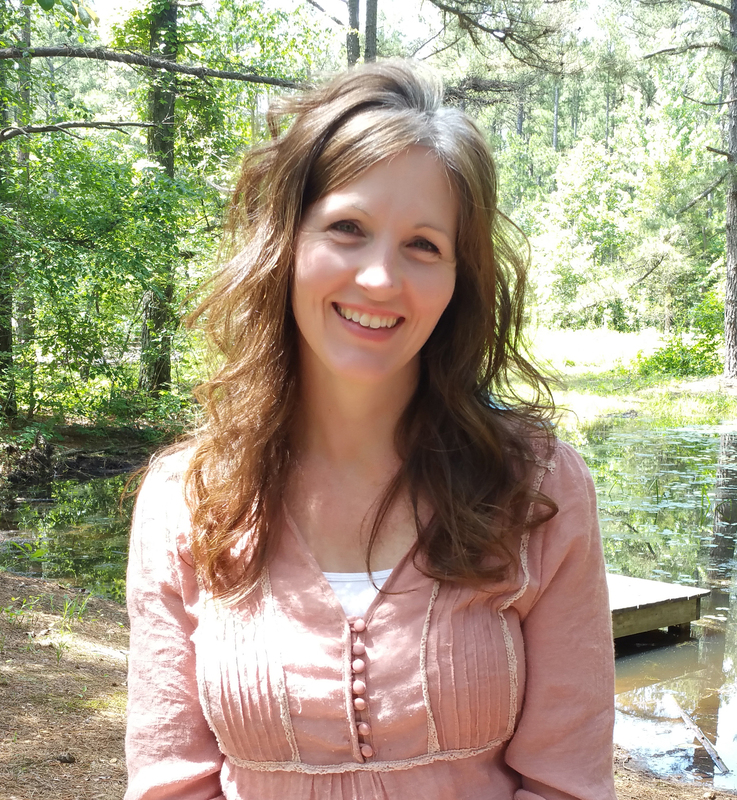 Shannon is a wife in a season of transition and waiting. She works full time as a pharmacist.